There is no God separate from you, no God higher than you, the real "you." All the gods are little beings to you, all the ideas of God and Father in heaven are but your own reflection. 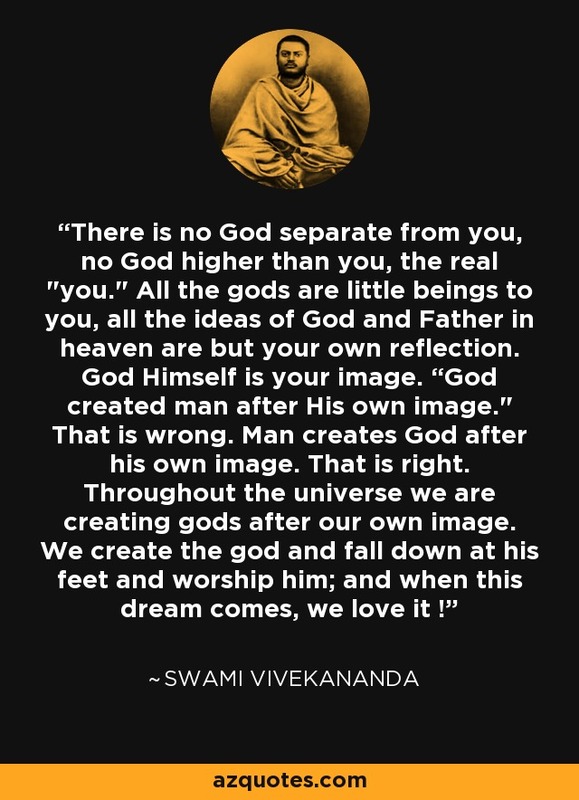 God Himself is your image. “God created man after His own image." That is wrong. Man creates God after his own image. That is right. Throughout the universe we are creating gods after our own image. We create the god and fall down at his feet and worship him; and when this dream comes, we love it ! "The Complete Works of the Swami Vivekananda".